Real Estate Developer George Santo Pietro’s marriage with Vanna White may have given him the fame he needed but not the support he wanted in his long-life, as of which the pair divorced. But, he did not sulk at the situation instead moved on and found a new love to tackle his gray days. 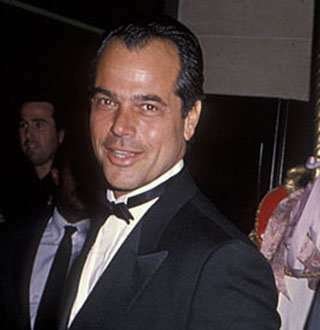 George has been popular as a wealthy L.A restaurateur with charming looks and has a history of dating Hollywood actresses and TV personalities, also bagging a few roles in movies. All credit goes to his very popular Italian restaurant in Bel-Air, California in a hidden Hollywood strip mall near Mulholland Drive called 'Santopietro's', which was frequently visited by Hollywood celebrities in the 80s and eventually it became Hollywood's secret hangout during those years. He also owned a restaurant called Sushi-Ko, which was an extremely popular sushi restaurant with an exclusive clientele. Here are some captivating wikis on George Santo Pietro’s age, net worth, children, ex-wife and his relationship with Melissa Mascari. Not just his family details and early life has remained hidden from the public eye but also information about his age, birthday and his parents have been missing from the Internet. But what is known is that he was born somewhere around Beverly Hills, California which makes him an American nationality. Besides from personal life, professionally George supports his living with net worth from his real estate credentials. George owned a home on Mulholland Drive neighboring Hollywood actors Warren Beatty and Jack Nicholson, making him a good status in Hollywood marriage and lifestyle events. The Hollywood friends and neighbors arranged him a role of a plumber in 1985 movie Prizzi's Horror. He was also seen in the TV show The New Mike Hammer in 1984. 2. George Shared Two Children With Wife Vanna White Before Divorce! George married American television personality Vanna White on 31 December 1990. It was in 1985, while he was attending dinner in Studio City, California with his friend Tracy Vaccaro and Robert Demeo, he encountered Vanna. They instantly fell for each other in their first meet. Following his marriage with Vanna White, in 1992, Vanna encountered miscarriage. George, as being her husband, rose up to the occasion and motivated her by every means he could. And after two years, George and Vanna welcomed their first children in their family; son Nicholas "Niko" Santo Pietro, followed by a daughter, Giovanna "Gigi" Santo Pietro on 1 June 1997. However, their relationship took its toll with undisclosed issues when even after being together for 12 years, the couple decided to put an end to their relationship. The estranged couple could no longer cherish their bond and divorced on 15 May 2002. Before their marriage, Vanna was previously engaged to John Gibson before she met George. But unfortunately, within a month of her engagement, her fiancée died in a plane crash in 1986 whereas George Santo Pietro was also previously married to an actress, Linda Evans in 1981 and even shares daughter Andrea Santo Pietro with her. Pietro divorced Evans in divorce in 1985. 3. Life After Divorce: George Finds New Love Melissa Mascari, But Still Friends With Vanna! Moving on from the heartbreak, George and Vanna both sought partners and eventually found one. Vanna got into a relationship with Michale Kaye. But, even after being engaged for two years, she got separated with him in 2006 without exchanging vows. While on George's side he exchanged vows with a TV presenter, Melissa Mascari on 8 October 2005 and eventually welcomed their first children, Chiara Santo Pietro in 2007 and unlike Vanna, he's in a good relationship with her. Besides that, he has also maintained quite a healthy relationship with his ex-wife, Vanna which was spotted back in June. Vanna and George are still close as a family and Vanna is proud of the relationship that she holds with George as they bear 2 children together. Their children are grown-ups with 25-year-old son Nicholas Santro Pietro, who is in the news for being gay and dating a religious monk of Hare Krishna and 22-year-old daughter Gigi Santro Pietro is attending college. They were seen in the 17th Annual Chrysalis Butterfly Ball in the Private Residence of Brentwood, California on 2 June 2018. As of now, George is a married man with wife Melissa Mascari whereas ex-wife Vanna is in a relationship with contractor John Donaldson. Vanna met John in 2012 and got introduced to each other by mutual friends.